For bookings up to 6 people at a reduced price, only the bedrooms on the ground floor are at your disposal. The Almhütte Klippitztörl is in a sunny and quiet secluded location on a forest clearing. In summer, numerous hikes can be made directly from the hut and in winter you can reach the ski area in a few minutes. The ground floor of the almost 100-year-old farmhouse has been lovingly restored and equipped with many modern amenities. The new sauna with a small relaxation area offers relaxation and recreation. Several managed huts and restaurants are located in the vicinity. In Bad St. Leonhard, distance about 14 km, there are shops are for a small shopping trip and supermarkets. The Almhütte Klippitztörl can be reached by car all year round. Parking is directly at the cottage. One pet is welcome in summer. In summer, the pastures and forests surrounding the Almhütte Klippitztörl are a popular hiking area. Numerous hikes can be started directly from the hut. The decision, whether it is just a simple walk or an extended day tour, is up to the guests. After a long hike, you can recharge your batteries in one of the rustic alpine huts with a peasant snack and a Lavanttaler cider. Also in the garden can be spent a nice day of vacation. The large meadow offers plenty of space for play and sunbathing.The pond offers the opportunity for fishing. The stable "Ponderosa" offers horse riding lessons, horseback riding and alp trekking. The closest ski lift of the Klippitztörl ski area is only 6 km away from the hut. 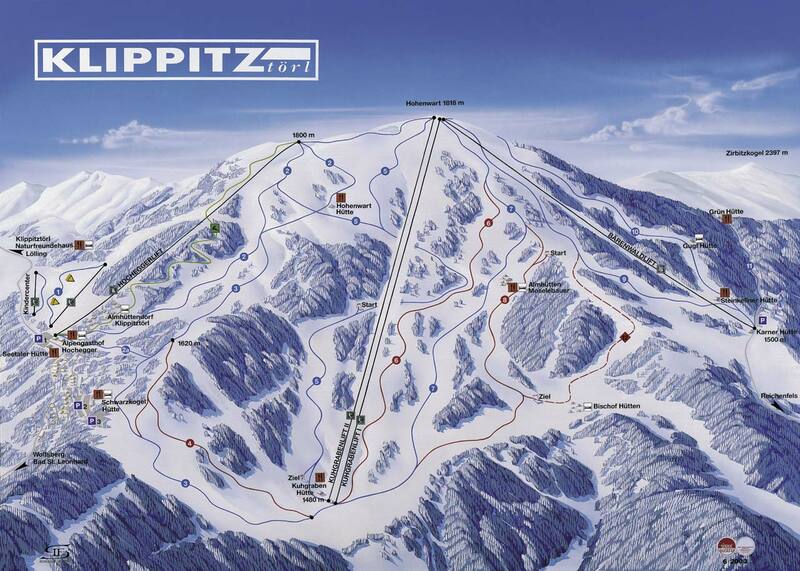 The Klippitztörl ski area is a manageable ski area. Especially families with children and novice drivers make a good decision with the Klippitztörl ski area. Special family rates make the Klippitztörl ski area even more attractive.